I confess; I didn't want to write this post today. 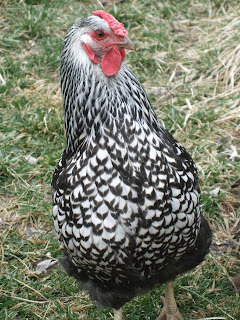 Over the weekend, our beautiful silver laced wyandotte, Mela, died. As I said when we buried Mela, she was our flock leader and a wonderful chicken who will be greatly missed. She was one of our four original chickens and the sole survivor after four years. She came with the Easter bunny and we learned how to raise chicks with her. She survived the dog attack that killed most of our original flock. In that attack, she was pretty badly wounded. We treated her wounds with Vaseline and kept a close eye on her. 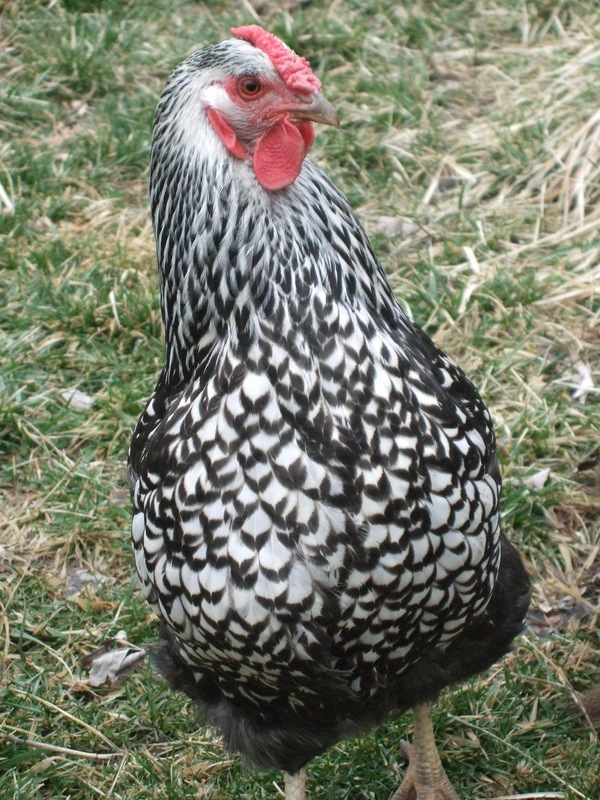 When our original flock leader, another silver laced wyandotte named Chaser, died, Mela quietly and effectively took her place. I'm not sure why Mela died. She had no signs of the illness that killed our our two white leghorns. 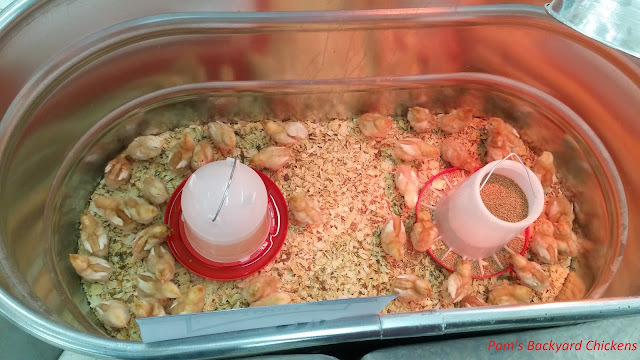 In fact, the picture above was taken just ten days before her death when she was the first one to take a peek at the new chicks. She was active up until her death. So active that two days before she died, I called my husband from the coop so he could hear Mela crowing like a rooster. Then yesterday my husband went to let the flock out for the morning and found Mela dead on the floor of the coop. Friends tell me that it's common to lose older chickens. 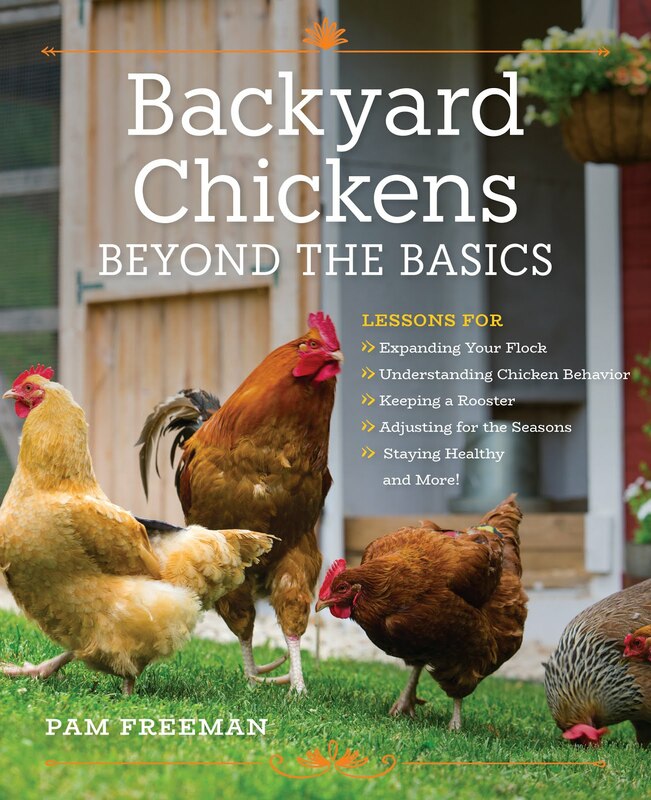 And that chickens often die of an illness so quickly that you never catch it. I'm not sure what happened, I just hope Mela didn't suffer. I also hope the rest of the flock stays healthy! For now, they'll have to establish a new leader and look forward to seeing the chicks again since their tractor is ready and we're blessed with great weather for the week.